For emergencies or urgent appointments please contact us directly at: (212) 864-3631. Once the form is submitted, we will call you within 24 to 48 hours to schedule your appointment. 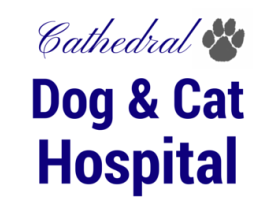 We look forward to seeing you and you pet! Please enter your first and last names. If your pet is already a client here please use the same name you registered them under so that we are able to find them in our system. Thank you. If the pet has been here before, but you have not, please provide us with the name the pet was registered under so that we can look them up in the system. Thank you. If this is an existing pet, please tell us the name he/she was registered under so that we can locate him/her in the system. Thank you. Please enter your email so that we can have a secondary means of contacting you. Enter 'none' if you do not wish to enter an email address. Your email will be kept secured. Please tell us the reason you are making an appointment in a few words.